A round-up of results featuring Tyne Bridge Harriers (updated 2nd October 2018). Please send Adam Jones an email if your event or result is missing, or you ran a Personal Best during an event. Full results to follow soon. Bear with us Roger! Updated now. Saturday 8th Sep Great Tees 10k there was 3 Tyne Bridge running including myself that i saw. 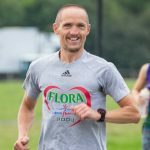 Updated Andy – congratulations on your PB! Hi Adam I ran the NEMAA 5000m and Jon Moss the 10 000. Both on the 22nd September. found the results page, I’ll update – and congratulations!